There's lots of good cleaning and lube info in this episode for the experienced or newbie. Welcome to Episode 203 of Gun Guy Radio! This is the podcast that shines a positive light on the firearms lifestyle. I’m your host Jake Challand, This is your weekly dose of positive firearms talk, without the politics. Lube a lot or a little? We cover things to consider when shooting your first gun or taking a newbie to the range. Welcome to Episode 202 of Gun Guy Radio! This is the podcast that shines a positive light on the firearms lifestyle. I’m your host Jake Challand, This is your weekly dose of positive firearms talk, without the politics. This Week Billy, Jon & Jake relaunch Guy Guy Radio with a new season of weekly shows aimed at the newer gun owner. Welcome to Episode 201 of Gun Guy Radio! This is the podcast that shines a positive light on the firearms lifestyle. I’m your host Jake Challand, This is your weekly dose of positive firearms talk, without the politics. Do I have to “register” my gun? What do I have to do before I buy a gun? Where can you buy a gun? Van down by the river? Welcome to Episode 200 of Gun Guy Radio! This is the podcast that shines a positive light on the firearms lifestyle. I’m your host Jake Challand, This is your weekly dose of positive firearms talk, without the politics. Where have you been Jake? Welcome to Episode 199 of Gun Guy Radio! This is the podcast that shines a positive light on the firearms lifestyle. I’m your host Jake Challand, This is your weekly dose of positive firearms talk, without the politics. Main Topic: New Product Spotlight Lone Wolf Dist. This week, I’m joined by Jeremy Pozderac of Rivers Edge Tactical & We Like Shooting to discuss his experiences with the Ruger Precision Rifle and other aspect of long range shooting! Please check out the Patriot Patch Company and their current patches available for pre-order: The “Hello my name is” and new T-shirts preorders! Check them out at www.patriotpatch.co ! How are you doing Jeremy? How’s the SBR build you made going? Long range shooting is something that I personally have never really done all that much and haven’t researched either. My most recent “long range” (for me) experience was shooting my 8 inch steel plate with a H&R .38 Special single shot suppressed rifle at 110 yards. Shooting beyond 300 yards would be very different for me. I’ve heard Jeremy talk about his long range pursuits with Lil over on the We Like Shooting podcast, so I thought it would be beneficial to talk with him about how one might get started. For really in-depth detailed discussion check out the Precision Rifle Podcast. Jeremy, the world of long range shooting is vast, with many techniques, products, things to learn, etc. Where would you suggest I start as someone who has never done it? How do I prevent myself from buying a bunch of useless crap and missing out on the stuff that is actually more valuable? Moreso than in any other discipline, long range shooting seems like it really requires the shooter to look at the rifle as a system; an interface between shooter, quality of cartridge, quality of rifle, technique and other factors that all have to work in concert with one another to pull off that perfect shot. Do you feel like long range shooting requires a greater understanding of how everything works with one another? You’ve worked with the Ruger Precision Rifle. Do you think that is a good starting platform for someone wanting to get into the sport? How important is reloading in precision rifle/long range? What are some things that you think people overlook when getting started? Any tips for someone getting into the sport? What other rifles would you recommend for people who want to get into long range shooting? I have extremely little experience with scopes. How does one go about learning what is good, what is bad and which scopes will stand up? Jeremy where can people find you? This week, I’m joined by Paul Carlson of Safety Solutions Academy to discuss the Plan B 2.0 Baseplate for the S&W Shield! This week, I'm joined by Weerd Beard to discuss the new guns & gear that came out at SHOT Show 2016! 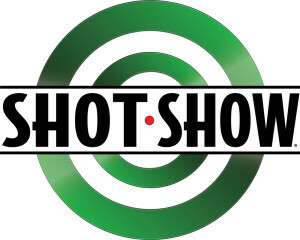 This week, I’m joined by Nathaniel F to discuss the new long guns coming out at SHOT Show 2016!